I’m beginning to play with this less as I settle on the highest throughput I can drag out of this old copper connecting me to the BT exchange a couple of miles away. What I will try to do in the coming days is match the time I run a speedtest to the stats on the router, the sets below are out of sync by about 15 hours. What is good is that you can see the drop in ping of around 10ms as a result of the removal of interleaving for fastpath. It doesn’t make much difference to me at the moment, but the gamers like it. 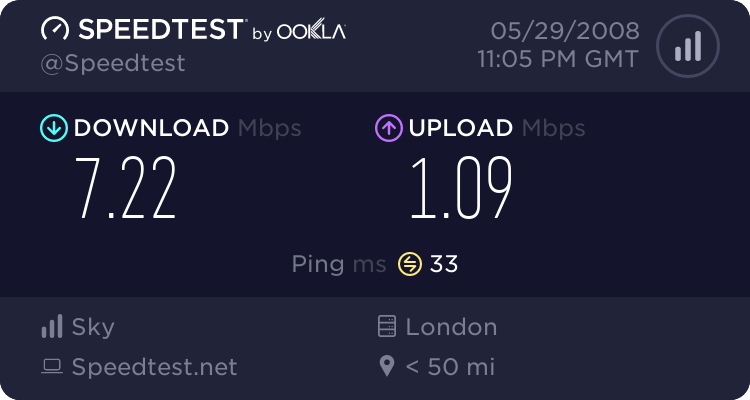 Be broadband have dropped the connection profile to 3dB which is having an impact on errors, but my long line appears to be generally ok and I am watching the more detailed stats every so many days.